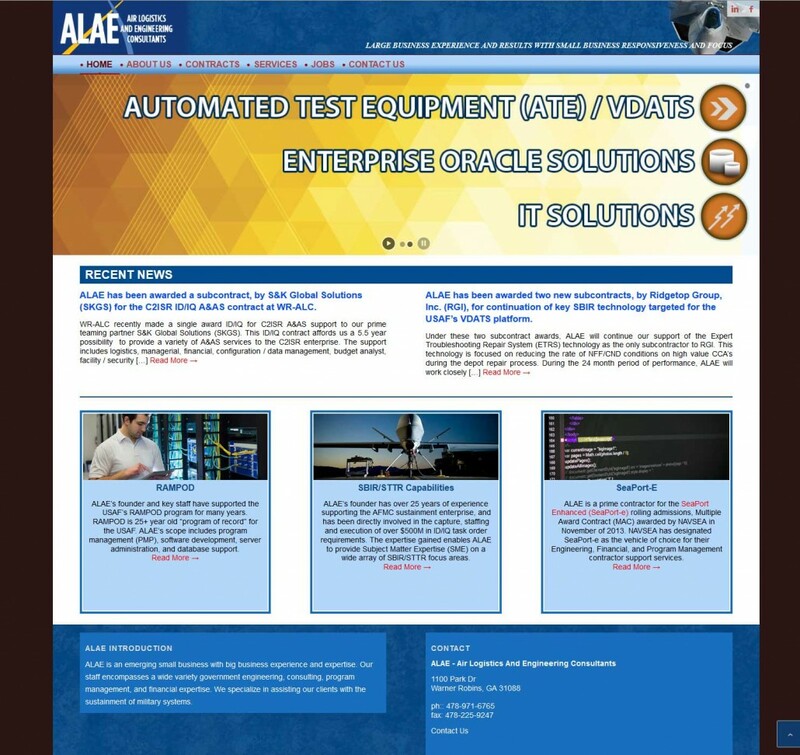 ALAE is an emerging small business with big business experience and expertise. 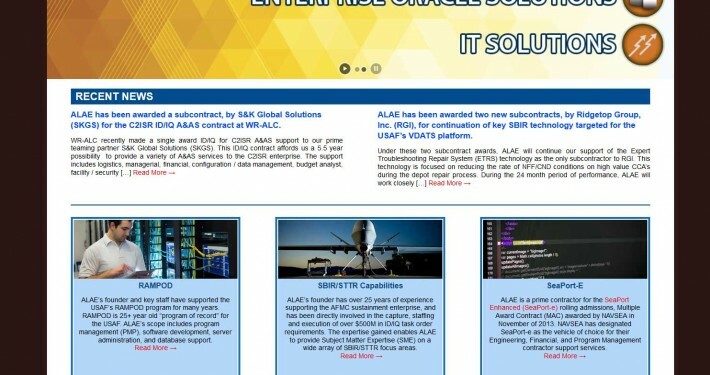 ALAE staff encompasses a wide variety government engineering, consulting, program management, and financial expertise. 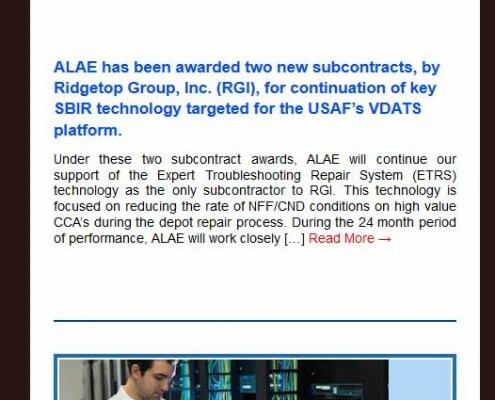 ALAE specialize in assisting our clients with the sustainment of military systems. 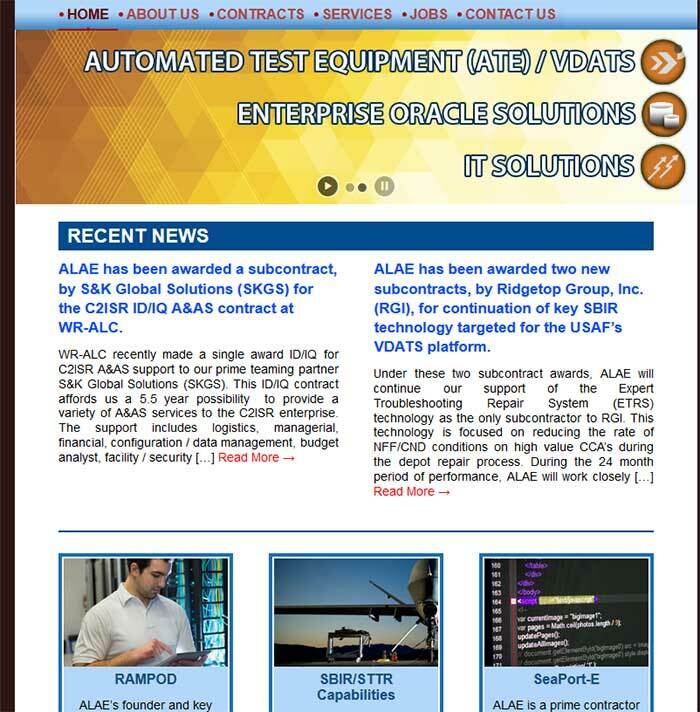 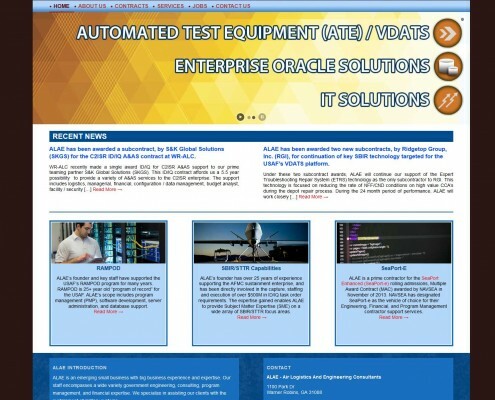 Atomic6 built out a responsive site that allows ALAE employees to easily update content, graphics, etc.